Destiny 2’s Xur is back with new goodies in his bag. 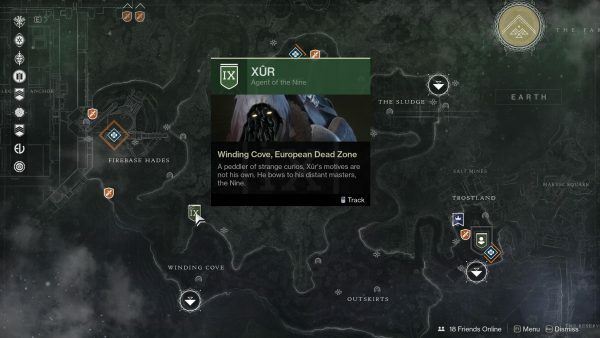 Xur has returned to Destiny 2, and you can find the fella in the EDZ standing at his usual spot at Winding Cove. This week’s exotics include a Exotic Fusion Rifle, Hunter and Warlock Gauntlets, and Titan Chest Armor. Be sure to grab what you want before the reset hits Tuesday, October 30. And just as a reminder, in case you’ve take a break, the Festival of the Lost is still going on. None of the items Xur is peddling this week are new, especially Telesto, if he’s carrying something you don’t have already. go for it.